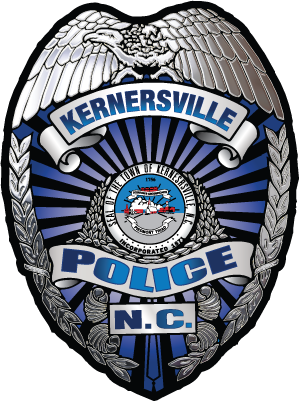 The Kernersville Police Department is dedicated to providing A Higher Level of Service. We strive to provide outstanding police services to the community in a legal, ethical, and professional manner. Communication with our citizens is always welcome. As your Police Department, we welcome your comments. It is imperative that the public have trust and confidence in its police agency and personnel. Therefore, Internal Affairs is responsible for conducting thorough and impartial investigations regarding the actions of agency personnel. If you wish to commend the actions of an employee of the Kernersville Police Department you may do so online or by mail. The chief will notify employees of all messages received commending their actions and, where appropriate, may award additional recognition for the employee’s actions. We take all complaints seriously. If you have a general service concern or complaint, please request to speak to a supervisor in person or by calling (336) 996-2390. You can also visit our administrative offices to speak to a supervisor in person. If you or someone you know would like to file a formal complaint in person, please visit our offices and a supervisor will guide you through the complaint process. All complaints will be investigated including anonymous complaints. The complainant will receive periodic status reports regarding the investigation and a written notice of the final disposition upon completion. Call (336) 996-2390 and ask to speak with a supervisor.